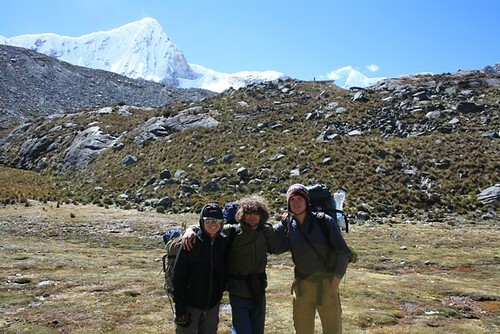 I left Huaraz. 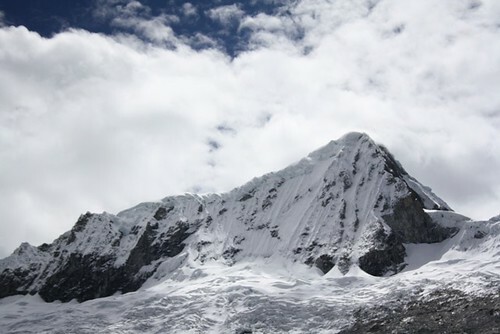 One day I would like to return and climb more of the peaks in the Cordillera Blanca. A fantastic place. I rolled out of town and soon was passing through Cañon del Pato. 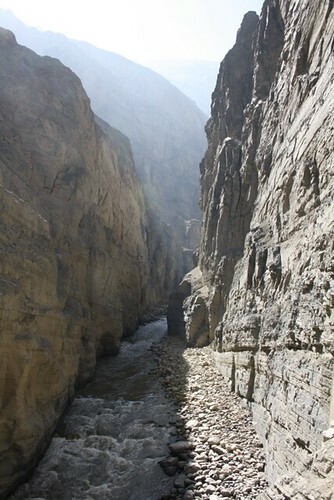 The canyon of ducks. I didn't see any ducks but there were several thousand tunnels, or so. The canyon is beautiful. At nightfall I ended up in a little town called Yuramarca. I stayed in a basic adobe hovel and had chicken and chips for dinner. In the morning I continued downhill into a stiff headwind. 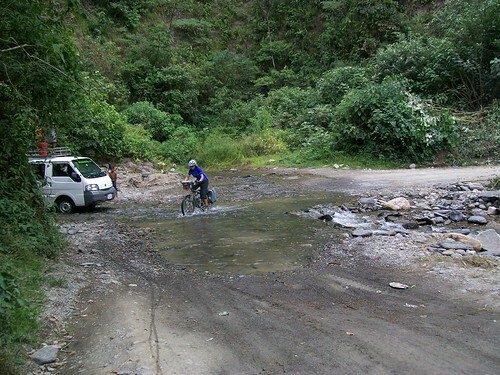 Lunch and an asphalt road both arrived at Chuquicara and then the mountains receeded to be replaced by a wide flood plain. I met a pair of German motorbikers. I continued cycling into the darkness again and ended up in Santa. I found a resonably priced place with a TV and ensuite. The height of class. 3 quid a night. I had, you guessed it, chicken and chips for dinner and listened to a passable salsa band composed of school kids. Then I watched Beverly Hills Cop 2 in bed. In the morning I woke early enough to watch Germany give England a thrashing in the world cup. 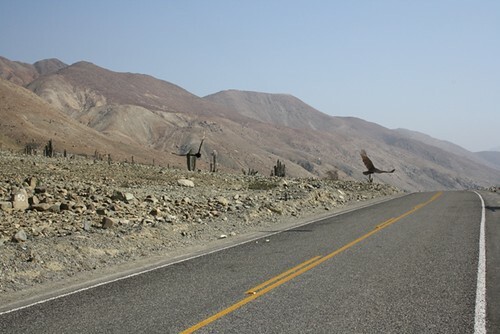 Then I headed off along the Panamericana. A pretty miserable ride into a headwind. 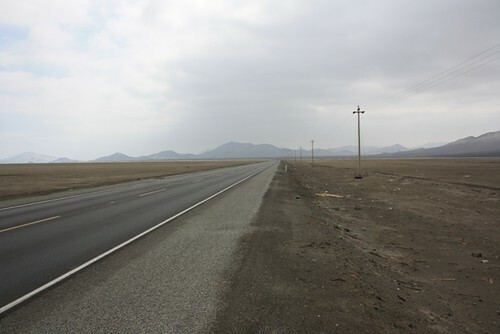 I passed huge sand-dune mountains and a continuous stream of trucks passed me. Some traffic police stopped me to tell me to speed up as it was dangerous to enter Trujillo at night. I camped shortly after in what I think was a bamboo plantation. Today was a short day to arrive in Trujillo and locate the "famous" (in the cycle-touring world at least) Casa de Ciclistas and meet the famous Lucho. 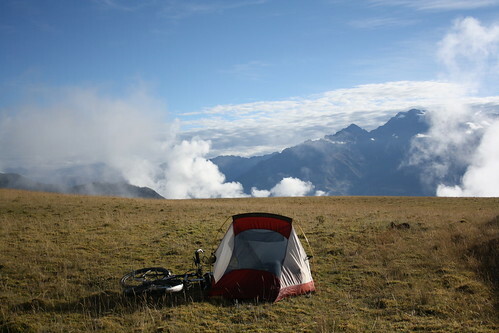 Safely ensconced, I met the other cyclists staying there. A pair of dreadlocked Argentinians and a couple of older cyclists from Columbia in matching t-shirts. Cute. The Columbians had whipped up a bit of lunch. A spicy stew of rice, lentils, banana and avocado. Delicious and a nice welcome. Now I am off to have a look around the historic centre of the city. 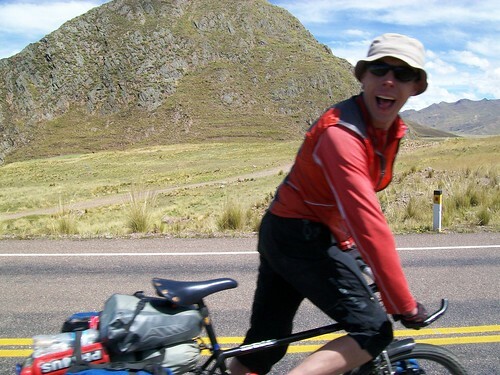 I've not posted much about my ride over the mountains from Cusco to Lima. 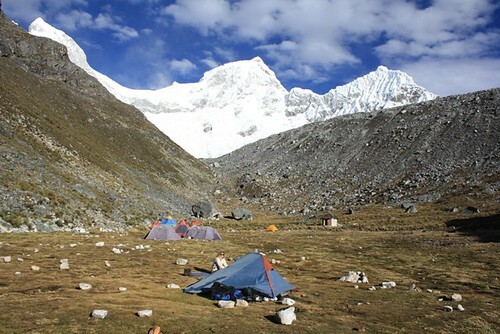 It was terrific and took in some superb scenery and some lovely remote villages and several great campspots in the hills and beside rivers in picturesque valleys. I was just too busy enjoying it. Sorry. Now, I make no appologies that this will be an unusually long post for me. And possibly rather serious at times. If that's not your bag...shame on you!! In Lima, I've been lucky enough to meet up with Judith Godfrey who is the wife of Bishop H. William Godfrey, or "Bishop Bill". I got in touch with her through the Mother's Union to visit some of the outreach projects in Lima. So, we hopped in Judith's 4x4 and set off through the crazy Lima traffic. It is especially bad at the moment because of road works associated with a new train line being built on concrete stilts. I have discovered on my bike that the traffic was pretty bad to start with. Traffic lights make it worse and traffic policemen just cause gridlock. We made our way out through the poorer areas of town skirting a hill. Judith pointed out the yellow concrete staircases built between the houses. These are the brainchild of Luis Lossio, the Mayor of Lima. Judith had good words to say about this politician who seems to have a very practical approach. The staircases replace treacherous dirt roads. Other projects by the Mayor include using old cargo containers as makeshift hospitals in the shanty towns. We turned off onto a dirt road and into a steep valley. Here the houses are all shacks. 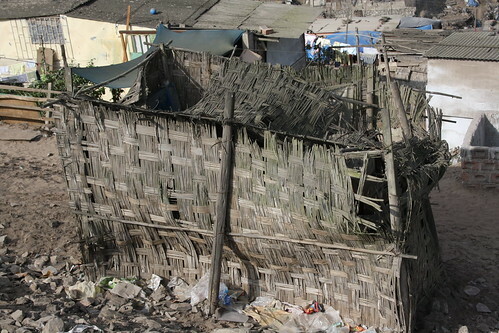 As the shanty town has been pushed further back it has crept higher and higher up the slope. Shacks are perched at incredible angles. We parked beside a huge ramshackle graveyard. 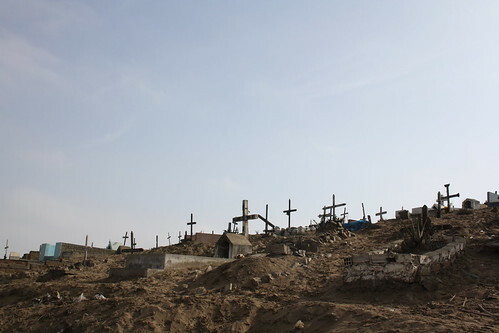 Not a solemn attractive municipal cemetry but a area of brown sandy ground where people go to bury their dead. In their hundreds. Here, Lima is expanding. People arrive and claim a plot of land and put up a shack. This often happens at night and with quite a few people from the same area. 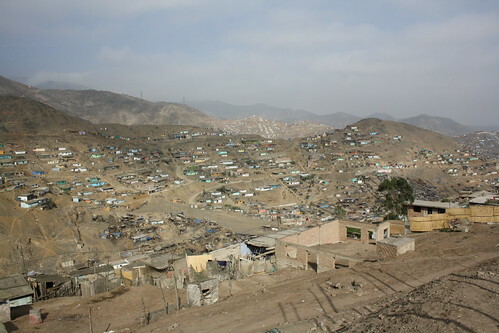 Sometimes these people have come from other areas in Peru but sometimes from overcrowded areas of Lima. Almost immediately they have to defend, perhaps with violence, their claim from other people who claim to own it. The Police and even the Army might get involved. 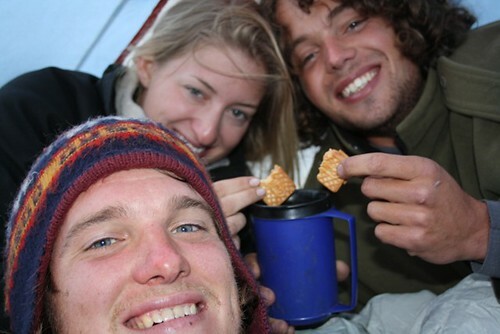 If they get to stay they are perched in a shack on a mountainside. To begin with they have no services. No road, water, sewerage, electricity or fuel. The first service to arrive is electricity. This is because they steal it. They set up a cable on some bamboo poles and some lucky chap shinnies up an electricity pole and connects it. For water a truck from the water company comes by and fills up blue water barrels. These then have to be transported up slippery muddy tracks to the hillside shacks. Sewerage is a hole dug in the ground. Imagine living in such conditions. Now imagine bringing up children there. Now imagine that one of your children has a disability. 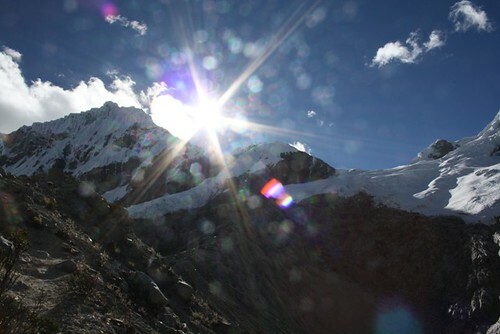 Whilst travelling through Bolivia and Peru I have seen disabled or mentaly ill people being treated in a way that to me seemed apalling. It is considered a stigma. Judith told me about a family who locked a man away on a roof terrace and he had no contact with anyone other than someone bringing him food each day. Out of sight out of mind. We visited the Shalom centre. This is a small school and theraphy centre for disabled children. The building it is housed in at the moment is rented. There is a small physiotherapy room, a room for language therapy and a room for ocupational therapy. The mothers sit in on the therapies. It is important to teach them that it is nothing to be ashamed of to have a disabled child. They are given encouragement that they will be able to cope. Pat, who runs the centre, has found a new building that she has bought and hopes to move to. We took a look. It is much bigger but has no proper roof yet. Also, as it turns out, the foundations are not too good. So there is no room to expand with an extra floor as had been planned. But, when it is finished, it will certainly be an improvement. As we walked in there was a woman Judith knew sitting on the floor sewing. She had about six factory made children's jumpers. They needed finishing off by hand. For each one she will earn about half a sol. So, she might earn about 75p. 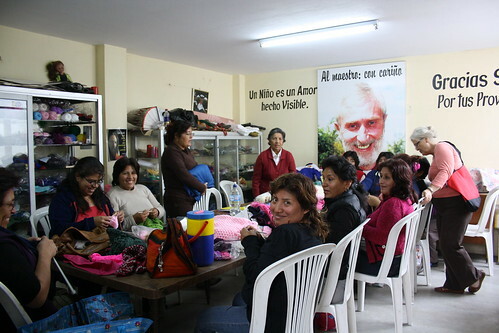 Sewing, knitting, shoe-making and needlecraft are taught in a group in the back room of the Santa Maria church. These are skills that can be used to make things to sell. I wondered how these skills have not been passed on mother-to-daughter. Judith explained that life in the shanty towns has disturbed the way these skills would normally have been taught. I won't pretend that I have much interest in knitting groups in general...but the importance of these projects can't be understated. 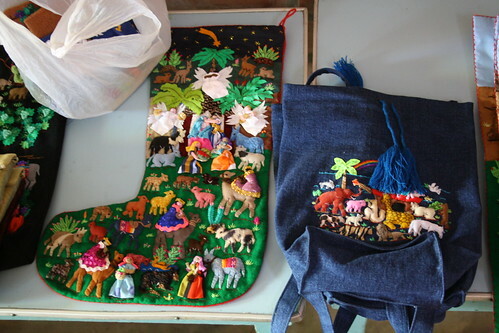 The Arpilleras project is interesting. Arpilleras are not easily described (but I will try!). 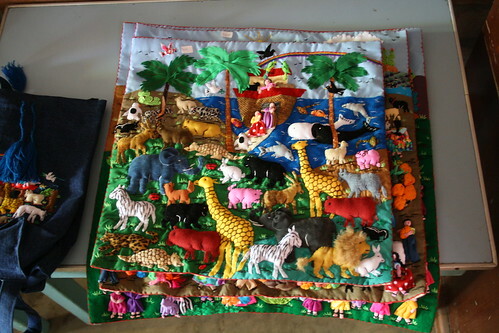 They are a form of three dimensional mixture of tapestry and collage. Basically, little pieces of material are sown into little people, trees, animals etc. and they are then all sown onto a background to make a scene. Often these are biblical scenes such as The Good Shepard or Noah's Ark. Each arpillera is made individualy without a pattern. There are no two alike. The technique is used to make decorative pannels, bags, glasses cases, purses and that kind of thing. They are works of art. 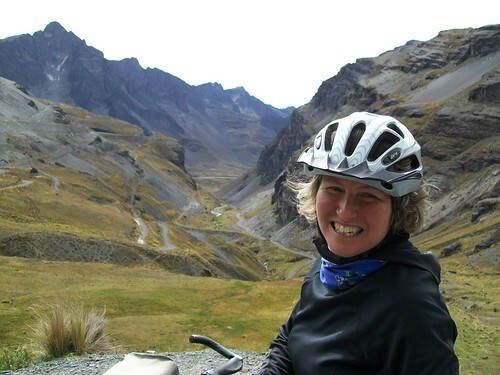 The Association of Anglican Women (AMA), which is Peru's version of the MU, supports this project. 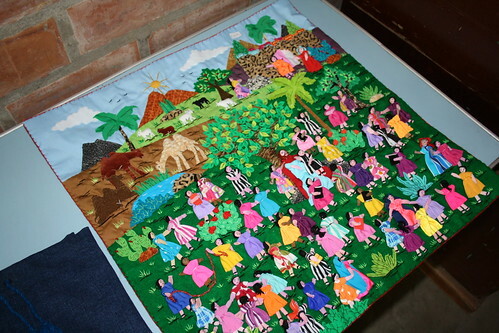 In an upstairs room of a small church, called "Jesus of Nazareth", a group of women meet up to sew the arpilleras. An AMA member who previously worked on a similar scheme in Africa has helped by introducing a level of quality control. The meeting means the women can share ideas. The project has an interesting financial model. 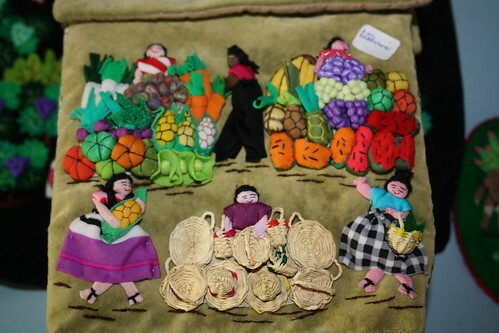 Many of the arpilleras are sold in the USA, yet the women are paid for their work at a good Peruvian rate. In the States they are sold at double. The difference in put in a fund. The women who make the arpilleras can use the money in the fund for operations, education, house extensions, or similar life-altering reasons. In more advanced areas of shanty town proper roads are built. The roads are built by the local people and will often resemble the roads from the areas they come from. For example if they are from the mountains they bring their horrid cobbles. In one of the more established areas the water company has built a water tank. This means a better quality of water at a better price. Eventually, all these areas will improve but I wonder how long the city can keep expanding in this crazy way. 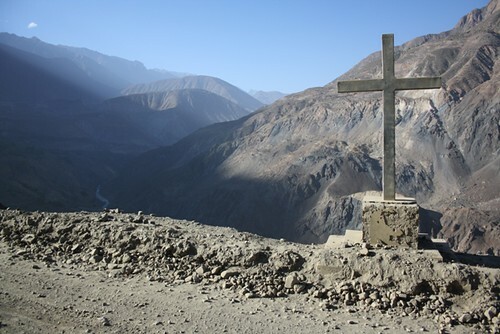 AMA works alongside the Anglican Church's NGO in Peru. The Anglican Church has little political clout in Peru but its social projects are noticably valuable. They have their work cut out. Children projects attract money quite well. As do "novelties" such as a project to teach the rearing of ducks for food or sale. Ducks are more disease resistant than hens and some breeds require very little water. Other projects, the bread and butter, are less glamorous. There is no end in sight for the work that can be done. That needs to be done. Just a shortage of money to acheive it. I could not possibly visit all the projects. There are projects to teach bakery, jewellery making, gardening (to cultivate small plots for food), work in prisons, health centres, children's homes and there are plenty of areas beside Lima that could use this kind of help. 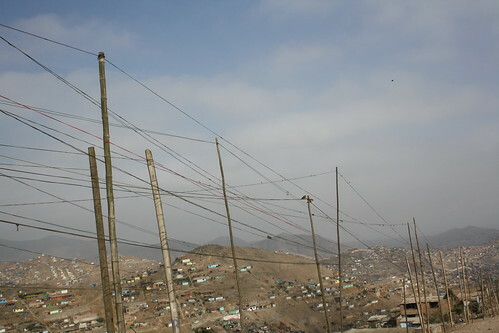 In 2007 there was an earthquake on the central coast of Peru. 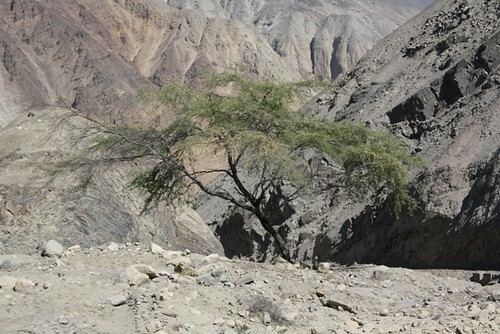 Emergency projects established in towns south of Lima have remained their ever since. There are many other places where the same could happen. Another day I visited a school called San Mateo with a volunteer from Manchester called Mike. Lima has a state school system but the standard is very low. There are also private schools, to a good standard, but they are very expensive. Anglican schools such as San Mateo offer affordable education at a good standard. In particular they place importance in dance, music, art and sport which are neglected in the state schools. San Mateo is in NE Lima is quite a marginalised area. The day I visited the school with Mike there was certainly a good deal of dancing as the children practised for a big celebration dance the next day. One of the dances, from the jungle I was told, included the boys pretending to be tigers and then doing something rather suggestive with swords whilst girating thier hips...All the dance practise happened in the small patio area which was also used for sport and for lunch. The school has the normal classrooms as well as a small computer room with a jumble of different makes and ages, a library with too many books in English (mostly too advanced for the kids) from well meaning donations, and a nursery with tiny children sleeping and one, the entire day I was there, crying for his mummy. Seeing a school for a day really only gave me the briefest look. Although small and basic the children seem to be getting a good normal schooling. Mike is certainly a helpful chap and no doubt his time at the school will be of great value to the pupils. 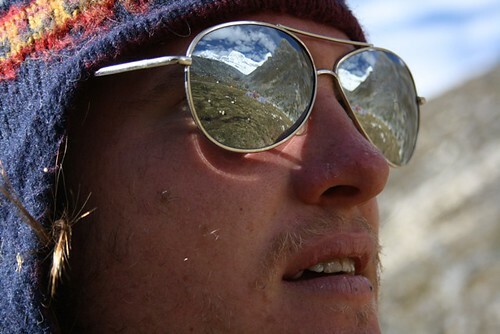 I'm in Huaraz just now for a bit of trekking in the mountains...I will fill you in soon. Please consider supporting people, like my Mum, who give up their time to help others by donating to the Mother's Union.